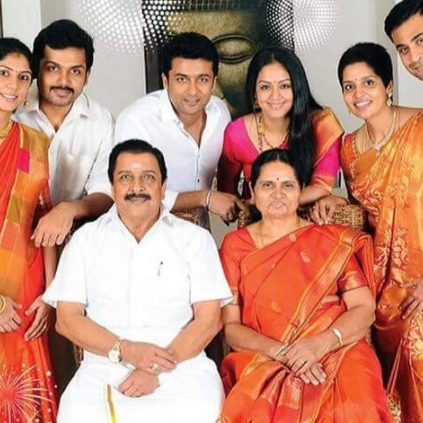 For a very long time, Sivakumar has been living in his T Nagar house which was his first bought property. He shares a lot of fond memories with this house where his children Suriya, Karthi and Brinda were born and their marriages had been held. It was in this house that his family expanded and his grandchildren were born. He has a lot of sentiment attached to this house. Recently, since the entire family wanted to live together under one roof, they have all moved to a bigger house Lakshmi Illam. Therefore, he has donated his old house to his Agaram Foundation which is fousing on education for all. People looking for online information on Agaram Foundation, Karthi, Sivakumar, Suriya will find this news story useful.